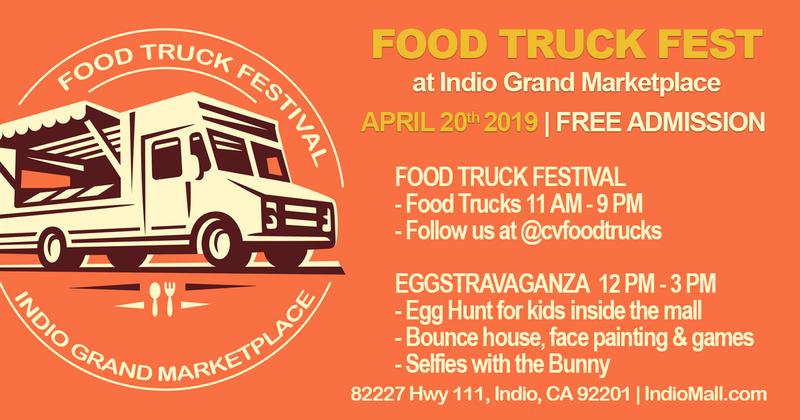 The Indio Grand Marketplace is excited to host its 1st Annual EGGSTRAVAGANZA at the Marketplace on Saturday, April 20th. 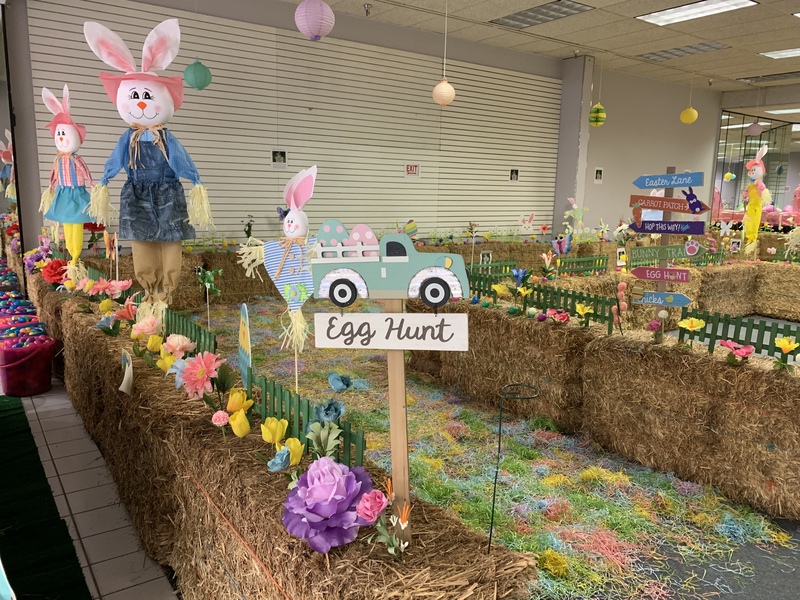 The festivities start at 12 noon with an egg hunt (limit of 5 eggs per child). The first 200 kids arriving at the event will receive a free basket. Other activities include a bounce house, face painting, sack race and a balloon artist making bunny balloons. Bring a camera or smart phone to take free photos of the kids with the Easter Bunny. Don’t forget to bring an appetite as well, as there will be a Food Truck Festival held in conjunction with EGGSTRAVAGANZA. More than 20 food trucks will be on site throughout the event, each offering their own unique menu of mouth-watering cuisine right in the heart of Indio. Choose from a huge variety of savory options. The Food Truck Festival will be ongoing for a larger time period, so please read the event times and details below. This is a list of the food trucks that will be at the Food Truck Festival on April 20th. Location: Indio Grand Marketplace, 82227 Hwy. 111, Indio, CA 92201.